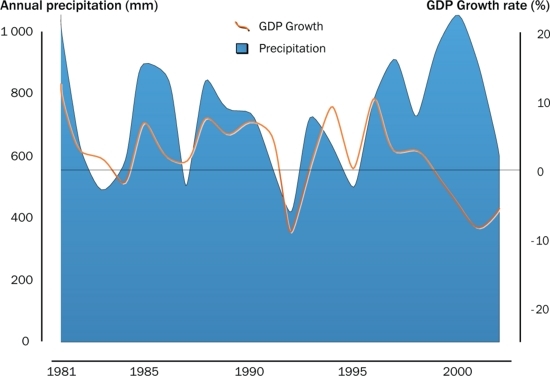 In Zimbabwe, trends in economic growth have been linked to rainfall variability, which can be attributed to sensitivity in the agricultural sector. Improved water resources management is critical to the stability and security that is required for economic development. The recent decline in growth can be caused by other factors such as land reform policies (starting in 2000).